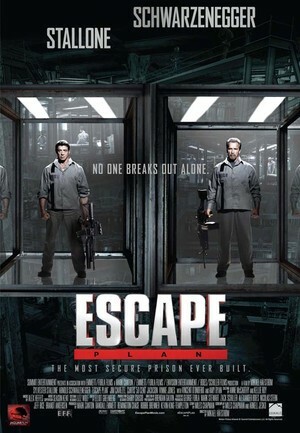 Official Synopsis: One of the world’s foremost authorities on structural security agrees to take on one last job: breaking out of an ultra-secret, high-tech facility called “The Tomb.” Deceived and wrongly imprisoned, Ray Breslin (Sylvester Stallone) must recruit fellow inmate Emil Rottmayer (Arnold Schwarzenegger) to help devise a daring, nearly impossible plan to escape from the most protected and fortified prison ever built. 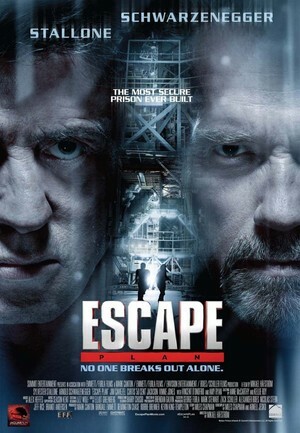 ESCAPE PLAN is the first pairing of action legends Sylvester Stallone and Arnold Schwarzenegger in leading roles, and co-stars Jim Caviezel, Curtis “50 Cent” Jackson, Vinnie Jones, Vincent D’Onofrio and Amy Ryan. Let’s hope the best for this one and enjoy the trailer. This entry was posted on Thursday, August 15th, 2013 at 12:02 am	and is filed under Film, News. You can follow any responses to this entry through the RSS 2.0 feed. You can skip to the end and leave a response. Pinging is currently not allowed. « Darren Aronofsky Might Take On The Espionage Genre With ‘Red Sparrow’!! !